Whenever I travel outside the country, one of my favorite treats to find are Kinder Eggs. Banned in the U.S., these innocuous chocolate eggs hide a surprise toy inside, and make great gifts for anyone back home. The residence at 1506 Allison Avenue, re-imagined by renowned Los Angeles architect Barbara Bestor, brings to mind those delicious eggs. 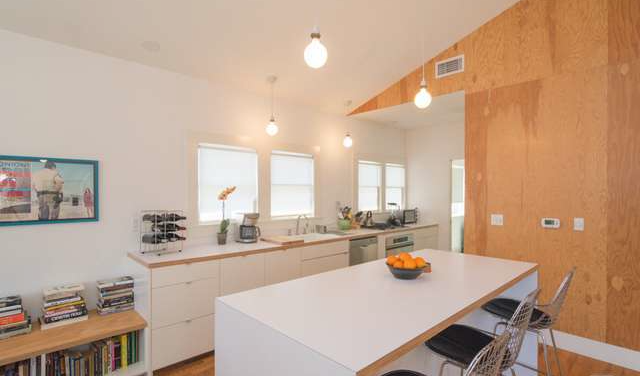 From outside, it’s hard to discern how this home is any different from your average Echo Park 2 bedroom, 1 bath cottage, but much like the Kinder Egg, it’s all about the surprise inside. Transformed is putting it lightly. 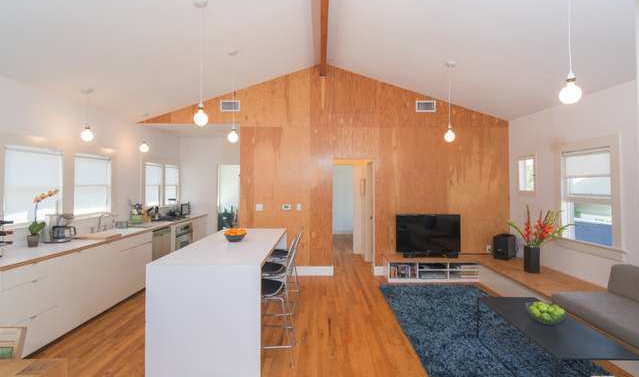 Vaulted ceilings, red oak flooring, and hidden storage just scratch the surface of this “bohemian modern” bungalow. 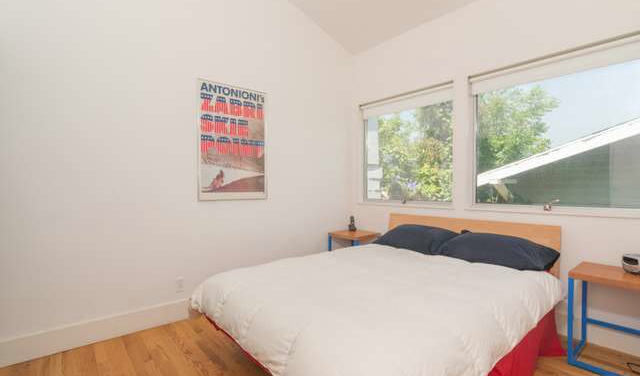 Certainly the $599,000 asking price seems far more reasonable, no? 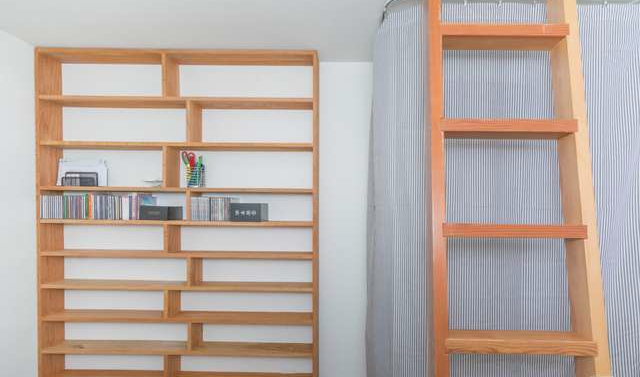 With so much efficiency, the need for additional furniture seems minimal and, with a modest 811 square feet of space, helps make the interior feel downright voluminous. 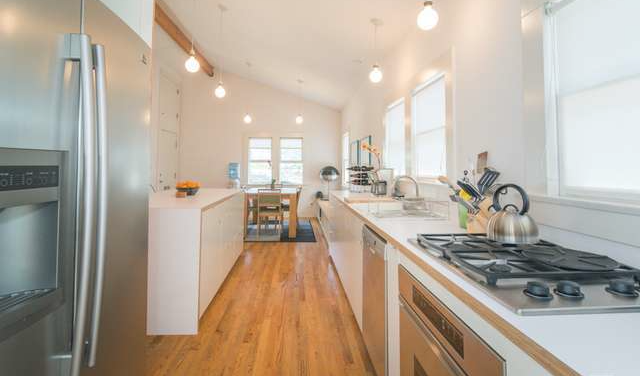 The stark galley kitchen has a surprising amount of usable cabinetry, and comes lined with stainless steel appliances and luxury light fixtures. 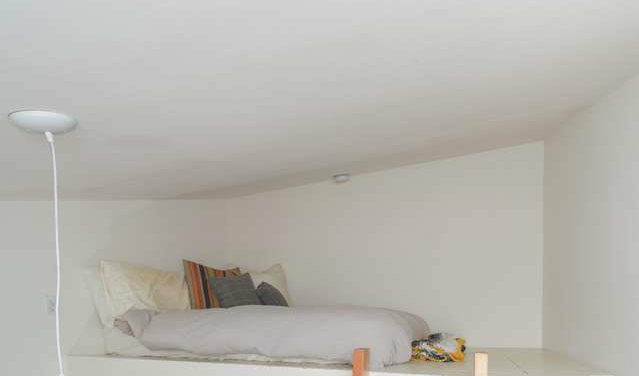 Vaulted ceilings continue on through the bedrooms, helping to open up the master, while providing a healthy loft space and additional storage for the guest room — just add a mattress. 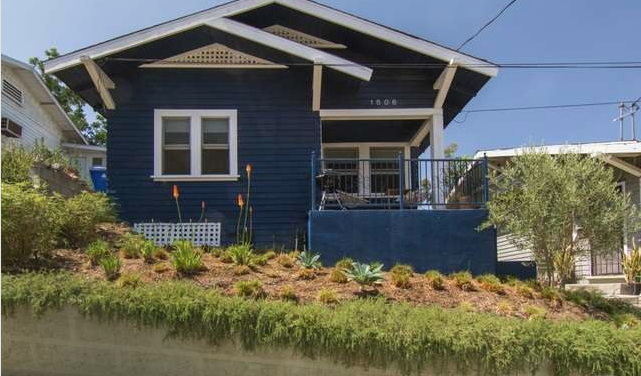 With an excellent location just blocks from Sunset Blvd., a poured concrete porch, and system upgrades, there is much to be appreciated from this Echo Park architectural, and that is no surprise at all. For a private showing, please contact Jovelle Schaffer at jovelle@jovelle.com or call at (213) 718-1110. Ellen Philips of Sotheby’s International Realty has the listing.